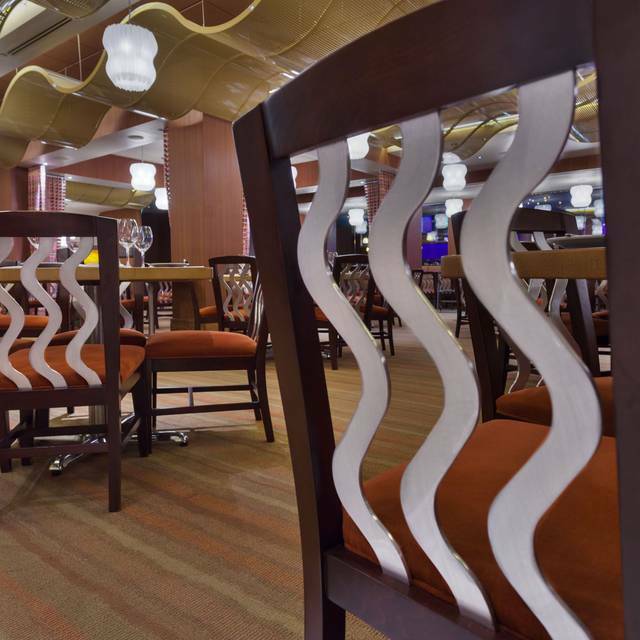 Delight in fresh American cuisine at this stylishly contemporary restaurant and lounge for breakfast, lunch or dinner. 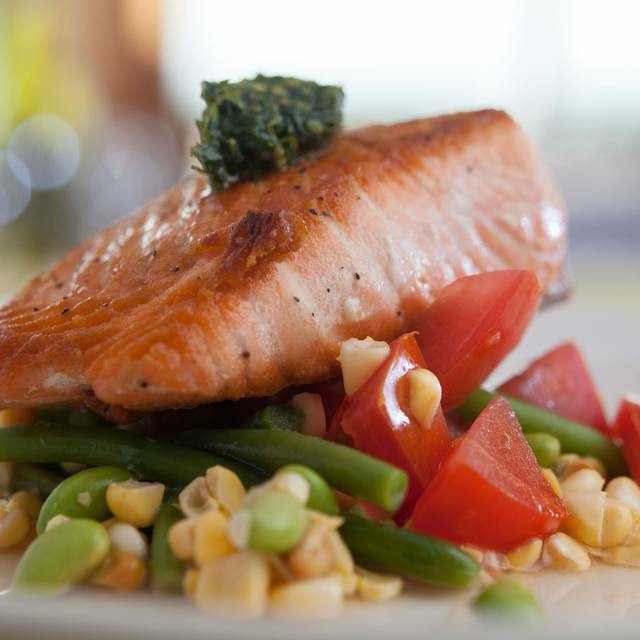 Dine on new American cuisine inspired by a passion for locally and regionally sourced ingredients. 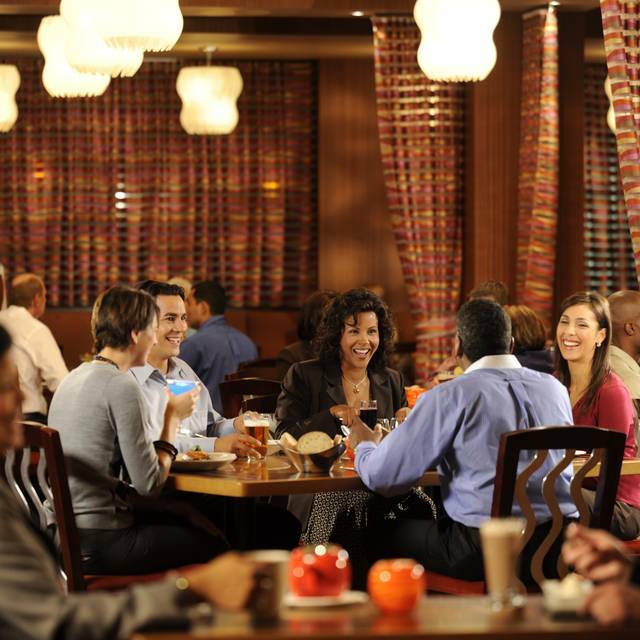 Surround yourself in casual elegance at this feel-good eatery located in Disney's Contemporary Resort. 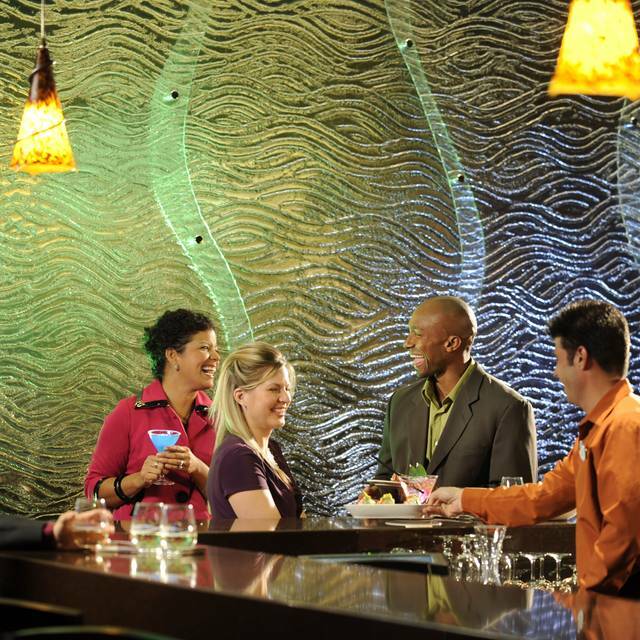 Savor fresh, healthful dishes with an international flair as well as new world wines and tasty craft beers. Guests 21 years of age and up can enjoy New World wines, trendy cocktails and organic beers in the sophisticated lounge. After waiting 15 minutes (because we were 10 minutes early) to sit, once we were seated we waited for some time for our server to come by. She already looked overwhelmed and seemed to be too concerned about her other tables rather than asking us if we wanted something to drink like, water. Actually took 15-20 minutes to get water because we made the mistake of asking if they still had an children's item that was no longer on the menu. (sometimes they can make items if they have the ingredients) After waiting 10 minutes this was not the case. "Can't" seem to be our server's favorite word. So the other guest in my party settled for the beef tenderloin from the adult menu that was supposedly a "favorite" that other guests have ordered over and over according to our server. Apart from it being extremely small (for $34) it was EXTREMELY dry and tasteless. The server recommended putting the sauce on the side in case it was spicy (which it was not) and it was obviously needed to put any type of moisture into this piece of meat. I had to help her cut it and had to be soaked with the sauce yet it was still mediocre. Our server offered to have another piece made which we declined because we didn't want to end up there until closing time waiting. I spoke with the manager regarding this whole situation. She was very new to this establishment and totally inexperienced regarding what they offered previously. Unless our server was having a bad night she needs to find another line of work-she had such an attitude to start. Any request seemed like a hassle for her, even leaving extra water. This is the first time I can EVER remember leaving a 10% tip as she made our entire meal a TOTAL disappointment. This was one of our favorite restaurants on property, not anymore, so much so we will not return- "magic" is GONE...what should have been offered ...maybe a discount because any other chain restaurant would have done that! we liked but I was expecting more from a Disney restaurant in the Mother's Day. Also, they didn't have our reservation from Open table, which was an unexpected unplanned surprise. My wife and I were spending the weekend at Bay Lake Tower and had planned to grab dinner at a quick service in the parks but with the off and on rain in the forecast we decided to look for a place we could make a reservation. 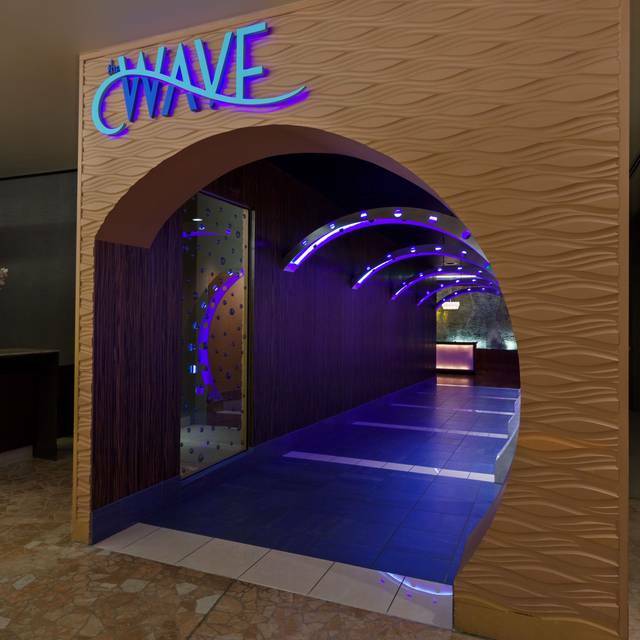 Managed to get a table at the Wave at a good time using OpenTable when the Disney app wasn’t able to save our selections. This was our third or fourth visit to the Wave and we always enjoy it. 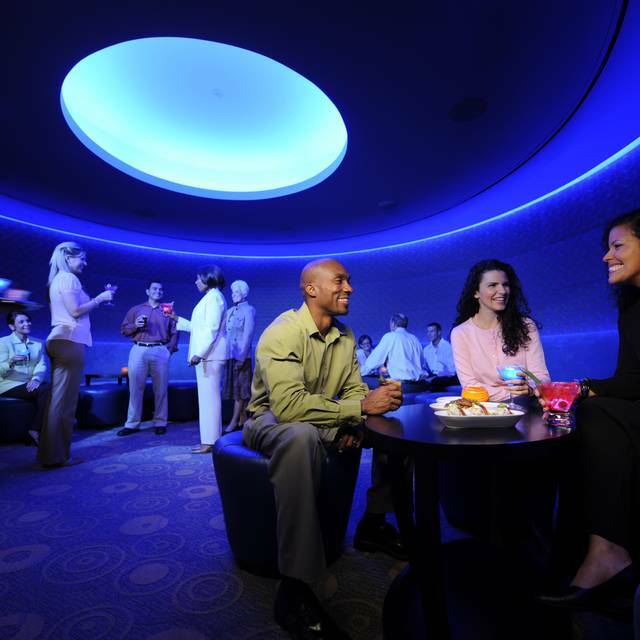 The restaurant is tucked in the back of the lobby level of the Contemporary Resort so it is not a place that many will spot walking by. It is well worth the visit and very convenient if staying at any of the Magic Kingdom area resorts. Excellent food and service, a good wine selection and a quieter setting make it a good choice for dinner if you want something nice and if you want a break from the sensory overload. 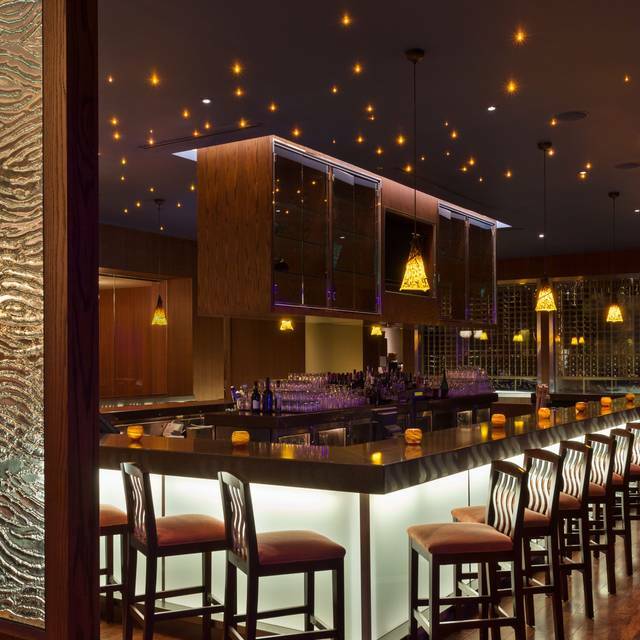 There is a nice bar behind the host stand with wines on tap which is good place to wait for a table or just enjoy a drink. 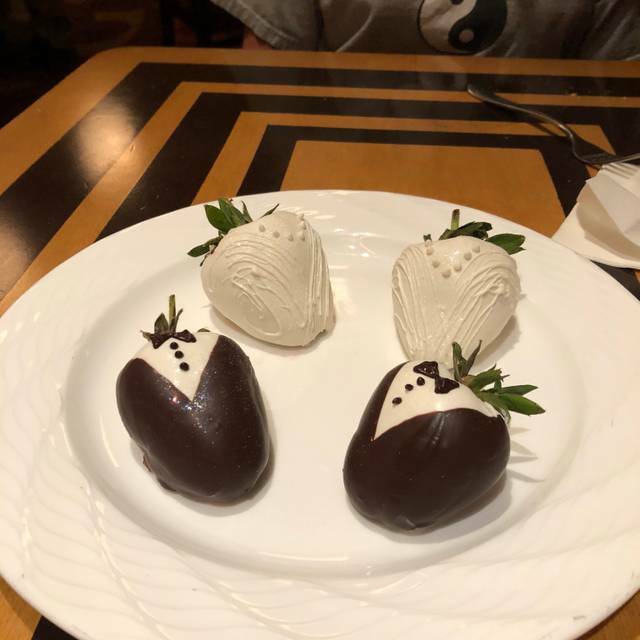 Since we were celebrating our anniversary, our server brought us a surprise treat at the end with four beautifully decorated chocolate covered strawberries. It was the perfect end to a perfect meal. Service was excellent but unfortunately food was very average. Our survey was FABULOUS. The food was great. The timing between courses was perfect. Our filet was prepared just as wonderfully as the one we experienced at California Grill. Great wine selections and attentive service made this a great dinner. Food was excellent, especially the desserts. Tim was fantastic and professional. Service was great. Highly recommended for lunch. The service provided by the staff is great. The Food is good, but ridiculously overpriced, ($16 + for 4 small pancakes and bacon) And the presentation was mediocre. I’ve seen better presentation at Shoney’s in the way our food was plated up and presented. The entrance into the facility is fun, but the actual restaurant itself looks like a Denny’s circa 1993. Pretty disappointing for a Disney property. Great service and food. Casual dinning in a good atmosphere. OK hotel food and a good breakfast buffet.